More notebooks today (I think I’m trying to tell myself to start making lists!) but of a different nature to Wednesday’s fabric-inspired selection. You know the year is drawing to a close when you start to see moustaches everywhere. That’s all down to Movember, originally started in Australia but now an annual worldwide phenomenon, where normally clean-shaven men will let their stubble rule for the entire month of November in order to sport a fully-fledged ‘tash and to fund-raise for men’s health charities. 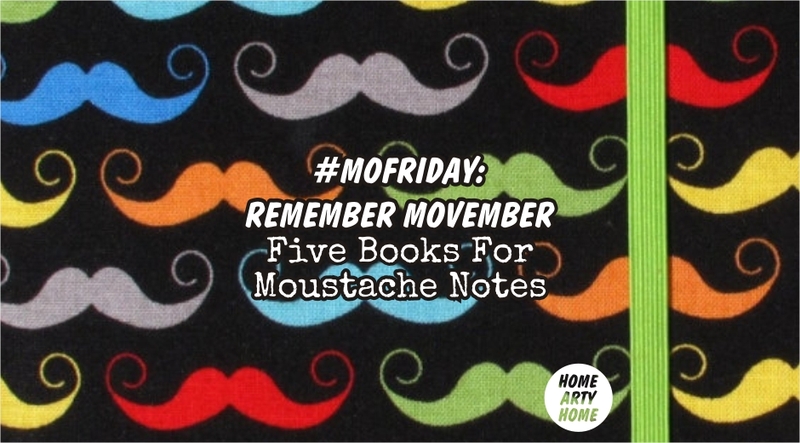 A worthwhile cause and thankfully temporary (very few could pull off a Tom Selleck full-time), if you or someone you know is going to join in then a relevant notebook to jot down hirsute musings seems appropriate. So for this week’s #Hashtag Friday, Home Arty Home kicks off #MoFriday with my pick of five furry notebooks fit for the occasion.